Philadelphia Dentistry is a Center City dental office that provides comprehensive preventive care, cosmetic dentistry, and restorative dentistry services to the Philadelphia area. Dr. Ken Cirka’s practice is located on Walnut Street, making it convenient for patients who work, live, and play in the area. Thorough cleaning. The tools you have in your own medicine cabinet are not enough to completely break through plaque and tartar build-up. Visiting your Center City dentist and hygienist every six months means your enamel is thoroughly cleaned and the chance of decay is minimized. Early intervention. Pain and discomfort alert you to oral health problems. It’s the problems you don’t feel, however, that can get you in trouble. Your dentist identifies any potential issues, like hairline cracks, that could jeopardize your oral health and addresses them before they become a major problem and require serious restorative dentistry. Discovery. Annual x-rays, a dental exam, and an oral cancer screening help your Philadelphia dentist discover problems that can be lurking under the surface of your teeth and gums. Finding these issues early is the key to stopping them from progressing and doing significant damage to your oral health. Beautify. When you’re unhappy with the way your teeth look, there are plenty of options for repairing the unsightliness. Your Center City cosmetic dentist is accomplished at placing porcelain veneers, Lumineers, and dental crowns, and doing teeth whitening and smile makeovers to transform your appearance. Build confidence. Your smile is important, and the condition of your teeth and gums impact your appearance, peoples’ perceptions of you, and your self-confidence. Keep your dental appointments, and you’ll keep a gorgeous smile. Even if you’re not seeking cosmetic dentistry or Invisalign braces or tooth restorations, it’s nice to know that the Center City dentist who tends to your teeth cleanings and exams has the ability to provide all oral health services to you when you need them. Preventive Care: Dental cleanings and exams, gum disease treatment, TMJ relief, emergency dentistry, and sports mouth guards all fall under the umbrella of preventive care. Cosmetic Dentistry: Have healthy teeth that need beautifying? Porcelain veneers, Lumineers, and professional teeth whitening transform smiles. Invisalign: Dr. Cirka is trained, qualified, and experienced to provide adults with Invisalign braces, the nearly invisible teeth-alignment treatment that gives you a straight, gorgeous smile. Restorative Dentistry: Bridges, crowns, and dental implants all make it possible to restore your smile so it looks amazing and functions properly. Smile Makeovers: The definition of a smile makeover is fluid – it can contain one cosmetic dentistry treatment or multiple cosmetic and restorative dentistry treatments. The result, however, is always a smile that you are proud of and happy to show off. Wide range of insurance plans are accepted. Multiple payment options to fit your budget. A 5% discount for prepaid treatments over $1,000. Accept cash, check, and credit card (MasterCard, Visa, Discover, American Express). Accept Care Credit, which has a low interest rate, low payment, no application fee, no prepayment penalties, and is ideal for people who do not have dental insurance or who are pursuing treatments not covered by insurance. 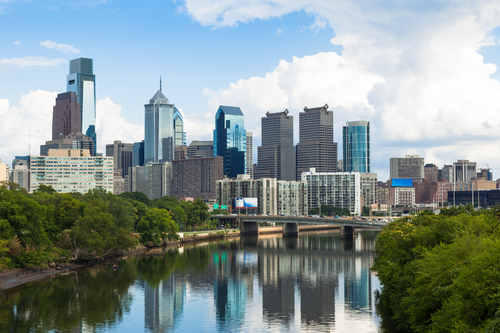 Philadelphia Dentistry is conveniently located within easy walking distance to most Center City Philadelphia office buildings, Rittenhouse Square, and Washington West. Parking is available in nearby parking garages. The office is also easily accessible via Septa’s El (Blue Line), Green Line, and Regional Rail trains. No trip to Philadelphia is complete without visiting Center City. Locals know, however, that there is more to this area than just touristy options. Center City is the second most-populated downtown area in the United States – second only to Midtown Manhattan. Center City is home to the neighborhoods of Chinatown, Logan Square, Market East, Rittenhouse Square, Society Hill, Jewelers’ Row, and Washington Square West. One of the most notable structures in Center City is One Liberty Place with offices, a hotel, and a shopping mall. Cultural institutions, award-winning parks, a hub of innovation, and a simply vibrant urban setting, Center City, Philadelphia, is beautiful, walkable, and full of places to dine, live, shop, and just enjoy the virtues this historic city has to offer.